Is it Possible to Avoid Conflict in Divorce? When a partnership works wonderfully, it's a beautiful thing. A great marriage is a joy to behold. A marriage beyond hope is quite the opposite. When a couple decides to undo their wedding vows, all sorts of emotions are bound to arise. Anger, disappointment, frustration and betrayal may be felt by one or both parties. That said, is it ever possible to avoid conflict in divorce? It is, if you heed a few savvy suggestions. Nobody says "I do" to their dearly beloved with the intention that they will someday split up. Nonetheless, stats show that 40 to 50 percent of first marriages wind up in divorce, and the odds of subsequent marriages breaking up is even worse than that. Separation and divorce are rarely easy situations, but conflict can indeed be minimized. Face-to-face mediation may improve communication between soon-to-be-ex-spouses. For mediation to work, both spouses must show up willing and ready to negotiate. Both parties must be open to compromise. At first, there may be problems that seem insurmountable. This is not the time to give up. Our mediation services have helped many couples resolve differences that seemed impossible, and we can help you avoid divorce conflicts, too. 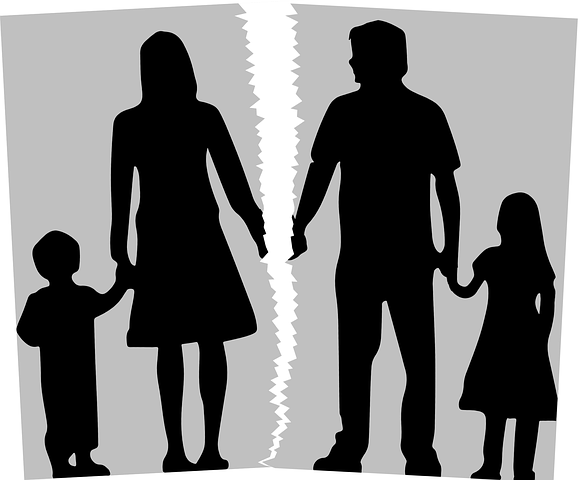 Divorce mediation in Chicago can help the divorcing couple make smart and fair decisions regarding property distribution, parenting time, child support, spousal support, retirement plans and taxes. Mediation can help to keep the peace. Mediation helps divorcing couples behave amicably and fairly. It keeps couples from getting off track and helps to keep primary focus on the issues at hand. At Split Simple, our goal is to assist divorcing couples in a productive and cooperative fashion. If you talk to anyone who's been through a nasty lawyer-driven battle in divorce, they are sure to tell you that fighting it out in front of a judge in a courtroom is an experience that nobody enjoys. Whether or not there are children involved, court battles are never pretty. Split Simple provides a singular approach to uncontested divorce that is far more pleasant for every person involved. Another way to avoid conflict while you're breaking up is to stop thinking of your divorce as a battle, explains the American Psychological Association. Instead, try to look at your impending divorce as the dissolution of a contract that simply didn't work out. No harm, no foul. In an uncontested divorce, neither party is required to prove or even mention their spouse's bad behavior. In a courtroom, embarrassing questions may be asked. Mediation at Split Simple is private, calm and always confidential. Many divorcing couples found that marriage therapy did not work for them. We commend them for trying. When a couple finally does decide to call it quits, emotions can run very high on both sides. This may be a good time for each party to the divorce to meet individually with a therapist to help them work through the feelings and confusion that are oh-so common to the end of a marriage. This can also be a good time for the individual to think carefully about what went wrong in their marriage so they don't repeat the same mistakes in subsequent relationships. If there are minor children involved, it may help them to talk with a psychologist, as well. Get a pad and pen, and make a written list of all the pertinent points you hope to discuss at your mediation session. You don't have to write the whole list all at once, but when you think of a topic that you want to remember to talk about in the safe space that is mediation, add it to the list. Having this 'script' will help you to remain calm and focused when it's time to sit down with the mediator and work out divorce arrangements with your spouse. Items on your list may include things like property distribution, who gets the pets, who pays medical insurance for the kids and how to fairly split your time-share vacation property. When a couple comes apart, divvying up assets is one thing. Deciding which parent the children will reside with is something else entirely. Both are super emotional topics that can raise emotions to the boiling point. A meeting with a mediator is far less apt to result in angry outbursts or a one-sided conversation. Mediation helps couples come to amicable agreements regarding division of property and child custody and support. Mediation also gives the divorcing couple more control of the situation than they'd have in any divorce court. Is mediation right for every couple? Probably not. While our Chicago divorce mediators can help most couples avoid conflict in divorce, it may not be advisable in some situations where domestic violence or emotional abuse has been a recurring problem. By the same token, some mistreated spouses find it empowering to meet their former partner on the level playing field represented by mediation. Previous Post « His House, Her House- What Items Should You Duplicate?